And Prevent Plugged Pipes in the Process! 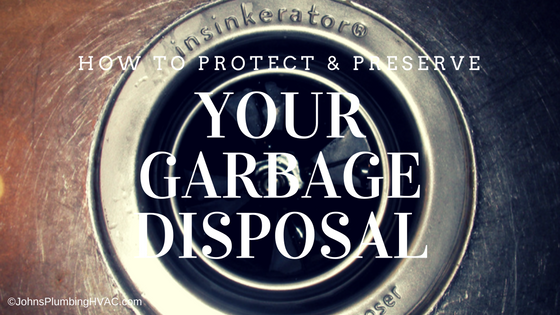 Garbage disposals are rugged, durable, can-do appliances. Most of us take them for grantedâ€”expecting them to grind on forever without malfunction or interruption. But they require care and careful use if they are to remain in prime working order. These food items can clog drain pipes, jam or dull cutting blades, strain disposal motors, and create unpleasant but persistent odors. While you may not realize it, youâ€™ll be shortening the lifespan of your disposal every time you ask it to process any of these substances. You should feed waste items into your disposal steadily and gradually with water running the whole time. A disposal can easily be overloaded and you should never stuff anything down into it before you turn on the machine. A steady stream of cold water should always complement a garbage disposal in operation. Grind everything you put down the drain thoroughly and completely before turning your disposal off, and leave the cold water running for at least 15 seconds after the machine is finished with its work. With a proactive approach to garbage disposal maintenance, you should be able to prevent clogged pipes, jammed blades, and the emanation of perpetually disgusting odors. Never use hot water when grinding food items in your disposal. Hot water causes the grease in foods to dissolve, liquefy, stick to blades and coagulate inside pipes. Be sure to use your garbage disposal regularly, preferably on a daily basis. This will stave off rust and corrosion. Donâ€™t use bleach or chemical drain cleaners in your sink and disposal under any circumstances. These harsh substances will damage cutting blades and slowly eat away at the inside of your pipes. Once or twice a month, throw a handful of ice cubes down the drain, turn on the cold water, and let your disposal loose. The sound of grinding ice cubes is not pleasant, but the shards of the frozen water will sharpen your disposalâ€™s blades and chop right through any greasy accumulation. Grind up half of a citrus fruit (orange, lime, lemon) once a month to help remove bad odors and leave your sink and disposal smelling fresh and clean. Every two weeks, use a vinegar and baking soda paste (two parts vinegar to one part soda is a good mixture) to scour and clean your disposal. Pour the paste down the drain, and let it sit for 30-60 minutes before scrubbing vigorously with a long wire brush. When you wash the remaining paste down the drain, it will clean your pipes and the interior of your disposal as well. If your garbage disposal refuses to start, nine times out of ten the problem can be fixed by hitting the reset button. This button will be either red or black and will be located somewhere on the outside of the unit. Should your disposal somehow become jammed, before you do anything be sure to unplug the appliance so electricity is not an issue (forget to do this and you may be in for the shock of your life, figuratively and literally). On the disposalâ€™s underside, you should find a small hole large enough for a Â¼â€³ hex wrench. Insert one of these wrenches, and turn it forward and backward several times, and if the jam is not too serious, this should loosen it. Next, use a pair of pliers to remove the object responsible for the jamâ€”assuming youâ€™re able to get it out. If this two-step approach doesnâ€™t work and your disposal is still jammed, that would be the time to call a plumber. Good garbage disposal care is straightforward and simple. 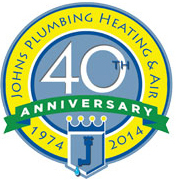 All you need is a little time and a conscious commitment to treat your disposal with respect. Do this and it should keep rolling along without breakdown for years to come. Are You Thinking About Buying a Smart Thermostat?